R​eclaimed consciousness through actions. 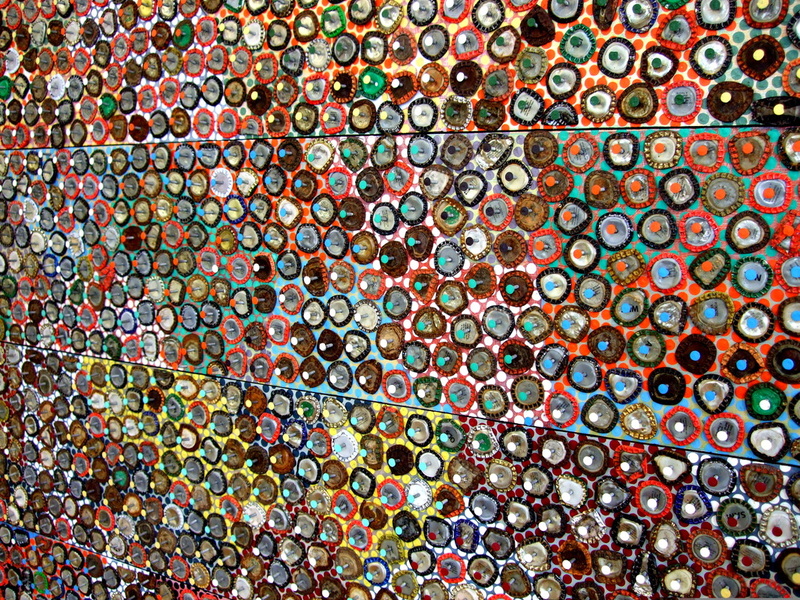 ​Discarded bottle caps have been flattened into the round alike a river rock tumbled, worn down and smooth edged. Flattened bottle-­caps can be found everywhere, from Arrowtown to Potosi, ubiquitous in the path. They are an indication of the process of convenience. Tossed to the street they are then slowly crushed over time by wheels of vehicles and the feet of people. A small circle of colour far removed from its original purpose is forgotten. The underlying dots ​represent action of the conscious​ ​mind. Each of the marks deliberately applied. The foundation is​ ​eclipsed by a layer of caps collectively representing the unconscious. 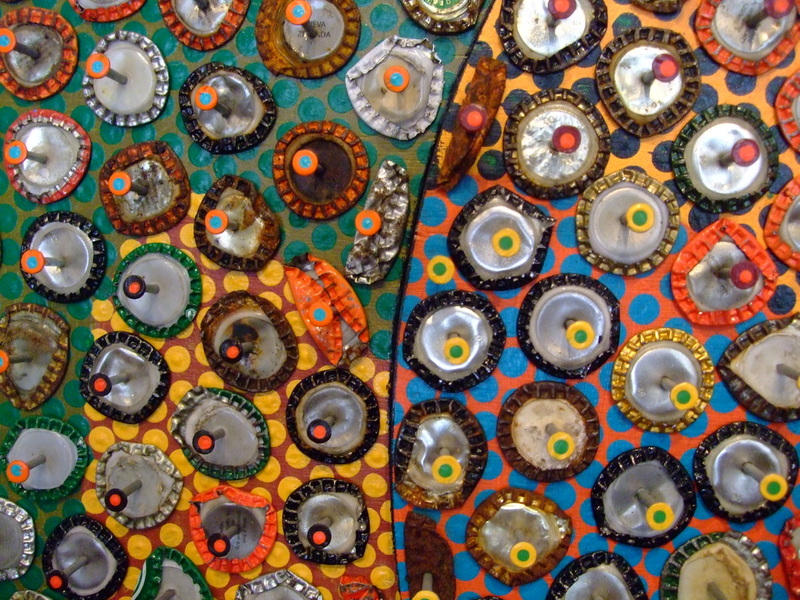 These caps retrieved from the byways and highways are sandwiched between two outer layers of intention.The painted nails pierce the bottle cap relics reconnecting the probity of the inner layer with the outer.